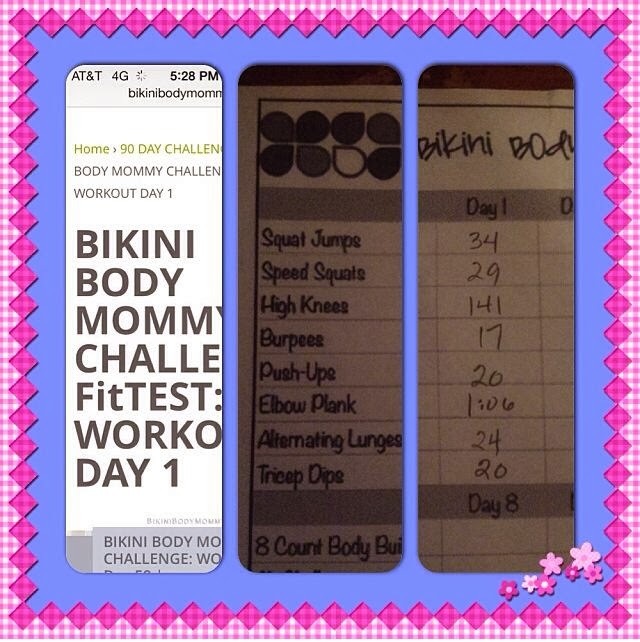 I've decided to do the Bikini Body Mommy 90 Day Challenge for my next challenge to myself. Today's work was just do to the fit test. I say JUST but whew, that's quite a little heart pounding work out! For day 1 you just go through each of the 8 exercise for 50 seconds (except for the planks which you just do as long as you can) and record how many you can do of each one. What great timing to start a bikini challenge. I'll have to try the 90 day challenge too! Thanks for the great workout post.